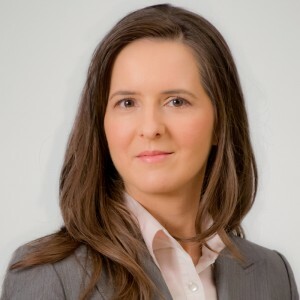 Ruxandra Bologa is a highly versed corporate lawyer with over 17 years of experience in domestic and cross-border mergers and acquisitions, joint ventures and restructurings. Also, she has particular expertise in highly regulated sectors such as energy, with a specific focus on oil&gas, and has advised on a wide range of projects in the natural resources field, including mining. She co-heads the Energy and Natural Resources practice of the firm together with Gabriela Cacerea and the Corporate/M&A practice with Gabriela Cacerea, Adina Chilim-Dumitriu and Adriana Gaspar. The competencies gained in her previous role as in-house counsel of the largest Romanian company, as well as her pragmatic approach are skills that proved instrumental to her assistance to clients with business interests across industries, be they large corporations, entrepreneurs or private equity funds. Clients say that “her expertise in energy sector is at the highest level”. Ruxandra Bologa advises clients on a variety of corporate issues, from share deals and business transfers to joint ventures, mergers and spin-offs, with experience of acting for significant players in the energy and natural resources, media, IT and maritime sectors. Ruxandra Bologa is well known for her knowledge of corporate and regulatory matters in the energy and natural resources sector. […] Clients say: “She was fantastic – extremely focused and very smart”. Ruxandra Bologa, […] is seen by some as “the most knowledgeable lawyer in the Romanian oil and gas sector”. Ruxandra Bologa is increasingly prominent in the Romanian energy and natural resources market […] Clients appreciate her “reliability and thoughtful, well-measured advice”. Ruxandra Bologa has a “very rich understanding of the complex and ambiguous regulatory environment, and she is well respected in the industry for her experience and insights,” according to clients. She is noted for her work in oil and gas and renewable energy.